NEWS REPORT: Four VELUX EHF Champions League clubs including two quarter-finalists will be shown over the weekend on the handball’s leading online streaming platform. All handball fans will be served an extra portion of high-class handball over the upcoming weekend as all matches of the SEHA - Gazprom League Final4 will be shown on ehfTV.com, the official streaming platform of the European Handball Federation. The final tournament of the regional league will be staged in Brest, Belarus, and four participants of the VELUX EHF Champions League 2016/17 will take part, including two quarter-finalists HC Vardar and Telekom Veszprém. 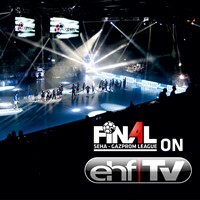 The exclusive live stream coverage on www.ehfTV.com includes the two semi-finals: Vardar vs HC PPD Zagreb (17:30 hrs CET) and Telekom Veszprem vs HC Meshkov Brest (20:00 hrs CET) on Friday (7 April) and the third place match (17:30 hrs. CET) and the final (20:00 hrs CET) on Sunday (9 April). The ehfTV.com livestream is geo-blocked in Slovenia, Croatia, Slovakia, Hungary, Belarus, Bosnia-Hercegovina, Montenegro and Macedonia, where local TV stations and Arenasport will cover the finals. Veszprem are going for their third straight trophy in a row after winning the final tournament in 2015 and 2016. Besides all other former winners – Vardar (2012, 2014) and Zagreb (2013) - have qualified for the 2017 edition of the final tournament.